The wait is over: Paramount has officially confirmed the details of its Blu-ray re-entry plans, with its first titles due for release late next month. Paramount will follow that up on June 3 with the release of 'Cloverfield' and 'There Will Be Blood. Then on June 24 we'll see the debut of 'The Spiderwick Chronicles,' which will launch day-and-date with the standard DVD. "Paramount Home Entertainment continues to focus on the consumer and to explore avenues that allow fans to get more out of their home entertainment experience," said Kelley Avery, President of Worldwide Home Entertainment, Paramount Pictures. "We will have a strong slate of titles for Blu-ray release throughout the year worldwide and are enthusiastic about expanding the format's offerings for a broad consumer audience while delivering an experience that goes beyond what viewers love about DVD." Full tech specs are not yet in for the newly-announced titles, though preliminary details in the press release indicate that the supplemental content on the Blu-ray versions will mirror the previously-released standard DVD and HD DVD versions. 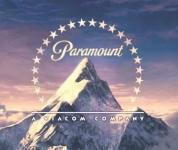 Paramount's announcement follows weeks of anticipation among early adopters. The studio initially launched a format-agnostic approach to the format war in 2006, only to defect to HD DVD late last year in a widely publicized announcement. Following Toshiba's war-ending abandonment of the HD DVD format earlier this year, Paramount again switched allegiance to Blu-ray, though the studio had yet to issue details of its initial release plans. Needless to say, we'll keep you posted on all of Paramount's future Blu-ray announcements as soon as they come to us. You'll find the latest specs for all of Paramount's newly-unveiled Blu-ray titles linked from our Blu-ray Release Schedule, where they're indexed under their respective street dates.